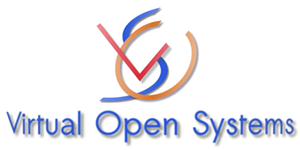 Virtual Open Systems is an innovative, agile and dynamic start-up company operating in Linux, android, SMP virtualization and cloud computing software solutions. The company delivers most efficient software architectures products and services for heterogeneous embedded multi-core platforms that increase value to customers, helps them lower costs and reduce time to market while improving control, security and meeting new business requirements. The company’s market focus is on low-power HPC/Server, virtualization of accelerators, Networking and Automotive.